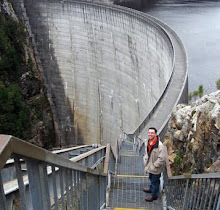 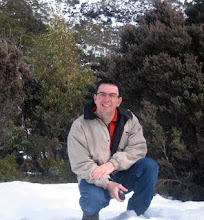 TASWATER has announced that designs for treated water improvements for Maydena, National Park, Westerway and Fentonbury have been assessed and finalised. 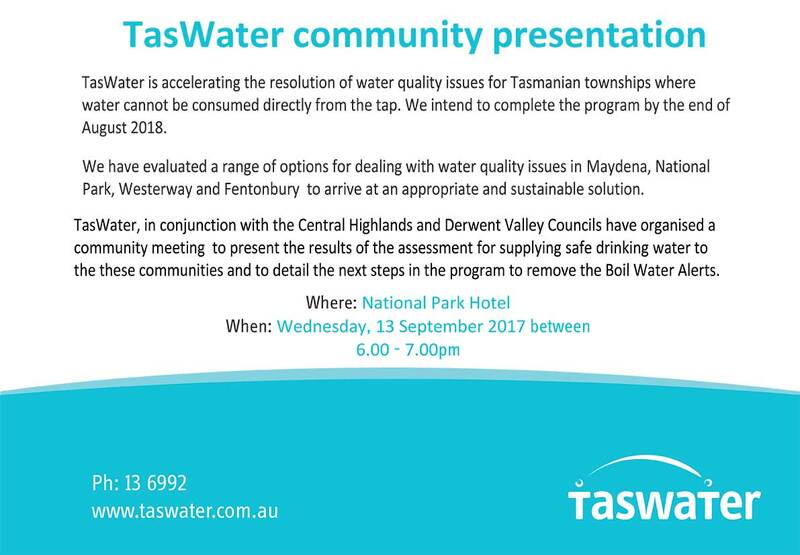 The company will hold a community briefing this Wednesday, September 13, 2017, in the lounge at the National Park Hotel from 6-7pm to outline the water supply solution that will be implemented for customers in those towns. 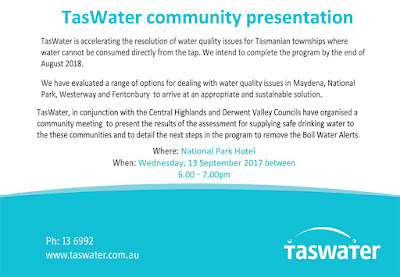 If you are unable to attend this meeting and would like more information about the Regional Towns Water Supply Program, contact TasWater community engagement officer John J Murray on 13 69 92 or email john.j.murray@taswater.com.au.